This cheating boyfriend got caught in a picture with his ex at Level Nightclub in Bolton. 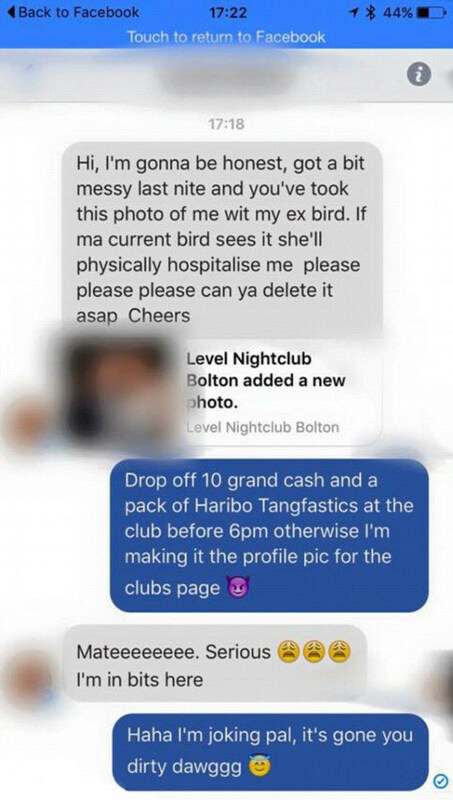 The picture ended up being shared over 3,000 times on Facebook and the man begged the club to take it down but he got an interesting response. 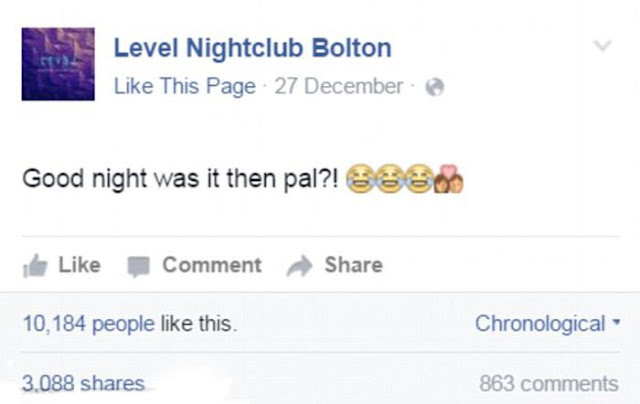 0 responses to "Cheating Boyfriend Begs Nightclub To Take Down A Picture Of Him In The Act (2 pics)"